Co-Optimus - News - Torchlight 2's Final Class: the Embermage! As PAX starts up, the game-related news is ramping up. 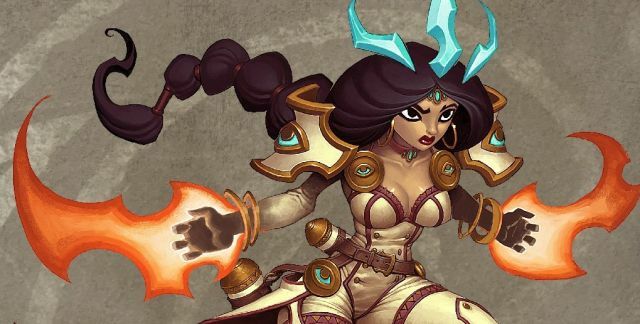 We've got details about Torchlight 2, the upcoming sequel to the excellent but (sadly) single-player dungeon crawler released in 2009. The final remaining character class has been revealed: the Embermage. Flaming wizard types have long been a staple of the genre, and the Embermage looks to be a solid new addition to the cast. Can you say Lava Spears? I knew you could. Perhaps the best news reveal is the price: Torchlight 2 will set you back a mere $20. That's the same price as Torchlight 1, with the addition of new bells and whistles including sweet, sweet 8 player co-op. It looks to be an excellent bargain and is easily one of the games we are most looking forward to this year.